Family photo cuddling on the couch. It's a three seater with a chaise yet, for some reason, we all have to touch. Well my feet have to be on the mister's legs and munchkin usually jumps on top of both or one of us. F1 on TV for the grown ups and a movie for munchkin. Bad? Very. The mister's birthday - trying to think of a wish to make. 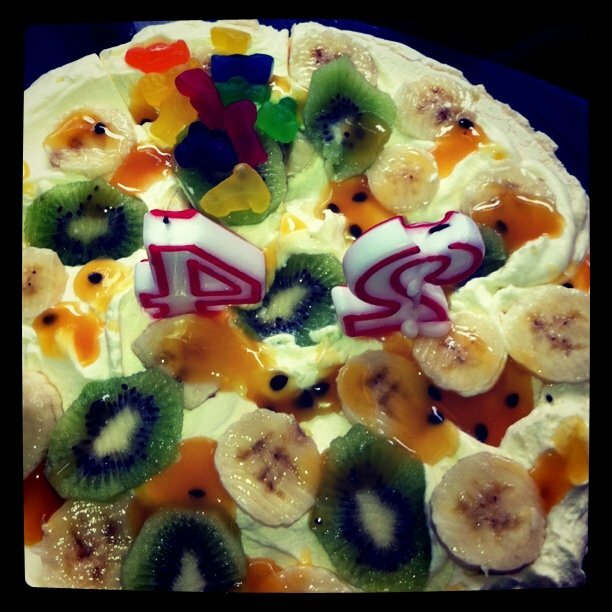 Pavlova birthday cake (thanks mum) with the mister's piece decorated with Starburst Babies. Apparently it was yummy.